If you've ever tried to find a gift for an angler, you know that it is not an easy task. Finding the best fishing gifts can be hard because every angler is going to have their own preference when it comes to the gear that they use. And if you don't purchase fishing gear that they use, they may not ever open the packaging. Instead of settling for a gift card that forces them to purchase their own fishing equipment, there are some fishing gifts that any angler will love. The first thing that you will want to know is the type of fishing that the angler enjoys. Once you know that, you will have a better idea which type of fishing reel, fishing line, and other accessories that they use to fish. Consider whether they like to fish in salt water or fresh water, and purchase sinkers, fishing line, and items that they use a lot. If you are unfamiliar with fishing gear, then maybe a tackle box or a chair to sit in while they are fishing is a good option. You can also consider gifts that bring light to their hobby. Many anglers love t-shirts, hats, and even picture frames to save memories from their fishing trips. Let's take a look at some of the best fishing gifts for an angler. Tools are always needed when you are fishing. This pair of pliers is designed to help an angler cut their fishing line when the line gets tangled; in fact, these pliers are even designed to cut braided line without an issue. It is also a great tool to help remove the hook from the fish's mouth once it has been reeled in. This tool has a lanyard as well, which means that whether they are fishing on the bank of a stream or in the middle of a lake, they can connect the pliers to their belt to secure it. 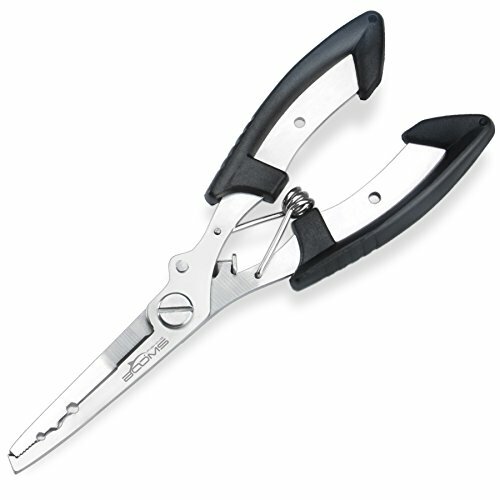 For more fishing pliers to choose from check out our best fishing pliers​ guide. If you enjoy fishing yourself, then you know that there are some restrictions in place when you catch certain types of fish. 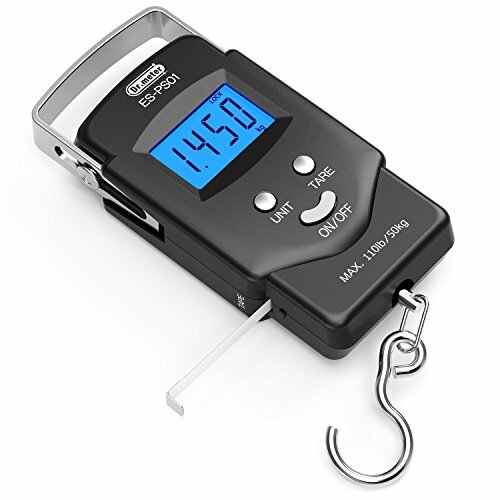 This hook scale is perfect for weighing the fish that are caught, and there is even a tape measure on the unit to see how long the catch is as well. This an extremely useful gift because it allows the angler to have both tools in one device. It can also measure anything that weighs up to 110 pounds, so it can be used to weigh large fish as well as other things like luggage. You never know when a fishing trip will turn into a test of survival, which is why this bracelet is a great fishing gift for an angler who likes to camp out near their favorite fishing spot. It has a compass to keep them from getting lost in the woods and a whistle that can be used in emergencies. 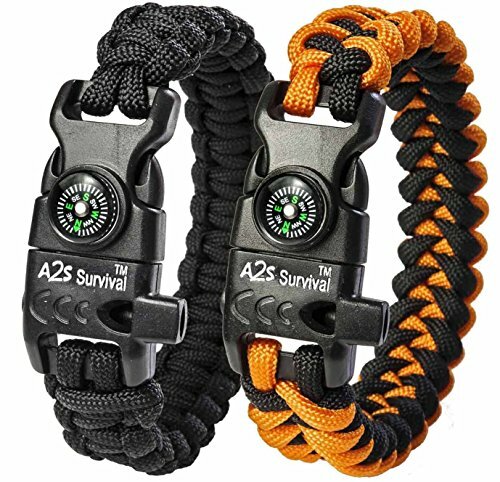 Anyone who has this bracelet will have a small knife that can be used to cut fishing line and a flint fire starter to stay warm at night. The strings on the inside of the bracelet can also be used as kindling if needed. 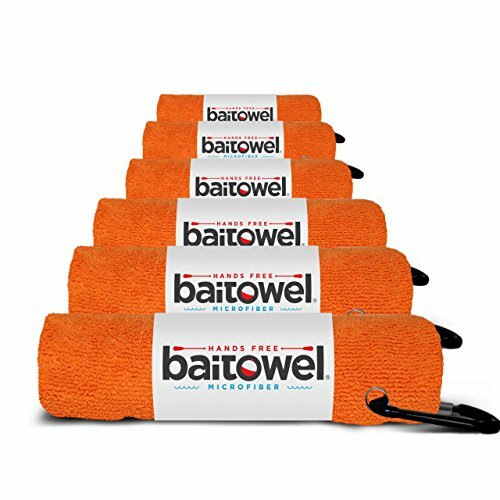 Going fishing can be dirty, so this microfiber towel will be a great gift for the angler in your life. It can help remove the dirt and residue on their hands from the bait, and it will also be useful to clean their hands after handling fish. 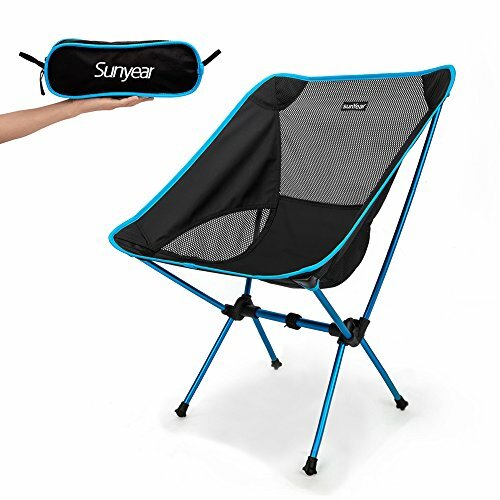 This towel also has a carbineer that can be used to attach it to your chair while you are fishing so that it will not blow away. This keeps it right within reach so that you can easily clean your hands, and if you need to wet the towel, it will dry quickly. If the angler in your life enjoys wearing funny t-shirts, then this parody shirt is a great option for them to wear when they go fishing. This is a high-quality shirt that is soft to the touch, which makes it very comfortable, especially when fishing in the hot sun. The print on the shirt is high quality, which means that it will not peel with wear. 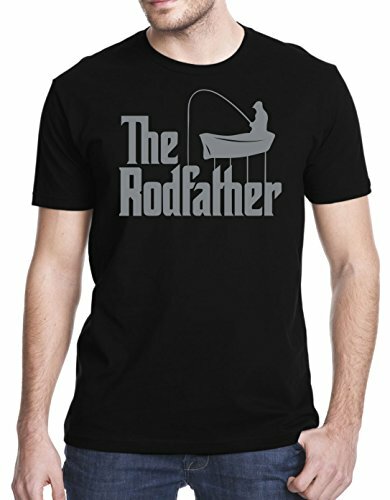 Any angler would love the Rodfather parody on the shirt; in fact, this shirt might even become a lucky charm for the angler who you are gifting it to. Going fishing with a group or using more than one fishing rod can be great, but carrying a lot of fishing rods can be difficult. 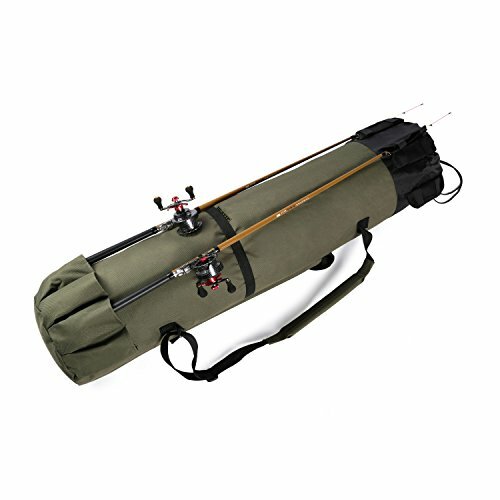 This fishing rod case is great for keeping your rods organized so that the lines do not become tangled when you are carrying them. It is especially useful for when the fishing spot that your angler friend is traveling to is a bit far away from where they park. This case can easily be thrown over their shoulder to make hiking much more convenient as well. If you have a fisherman friend who enjoys some coffee or tea before going out in the morning, then this is a great gift for you to consider purchasing for them. This mug can keep your coffee warm for a good 20 minutes, and if needed, it can be heated in the microwave and washed in the dishwasher. 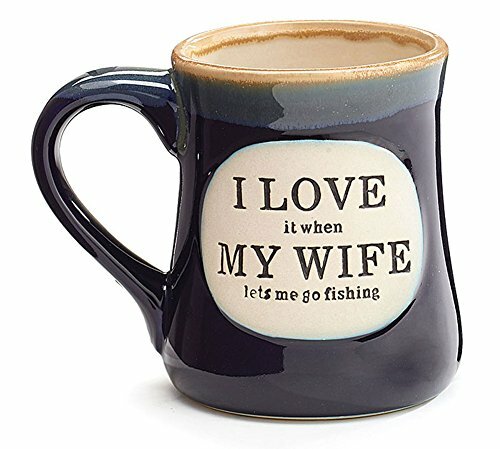 It is dark blue in color with a tan interior that looks great, but the saying is the part that will make you laugh; just make sure that the angler that you purchase the mug for actually has a wife. A fishing hat with a wide brim is always a good gift for an angler. It can keep them shaded from the sun while they are fishing, and it has a drawstring that goes under their chin so that the wind does not blow the hat away while they are fishing on the water. 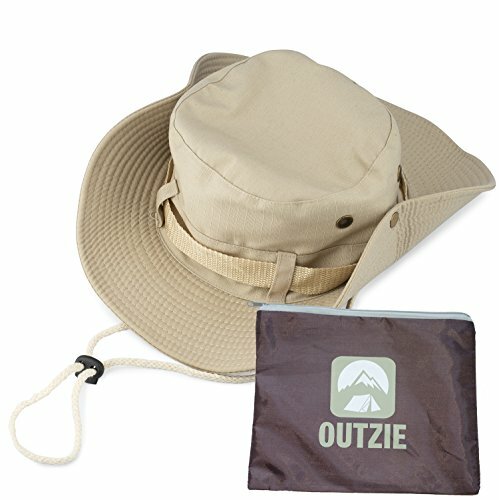 This lightweight hat is ideal for fishing when your angler friend travels as well because it has a stylish design that looks great. If it gets dirty, it can easily be washed by hand and dried in the sun. If you are at a complete loss for what to purchase as a fishing gift for the angler in your life, you can always settle for a Bass Pro gift card. This gift card can be used online or in the store, so if you want to help your friend find something that will be useful to them, you have plenty of options. 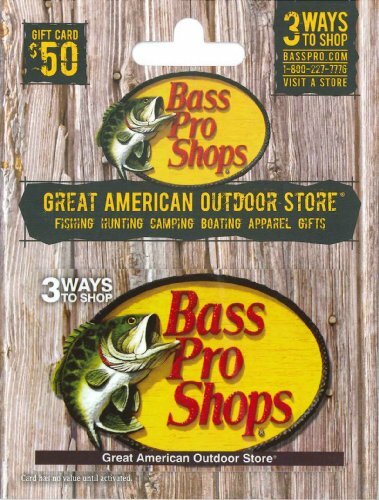 You can't go wrong with a gift card from Bass Pro, they specialize in fishing equipment, so no matter what fishing gear the angler in your life prefers, it can most likely be found here. No one can stand for hours on end, which is why this lightweight nylon chair is ideal for your fisherman friend. It gives them a comfortable place to relax, and the best part is that it is light enough to carry to any fishing spot, even one that requires a small hike to get to. It is actually rated to hold adults who weigh up to 250 pounds, so you don't have to worry about it being stable. This chair also comes with a carry bag that makes it even easier to carry. Having a flashlight with you is always a good idea, which is what makes this pocket flashlight a good gift for the angler in your life. It only requires one battery to function, and if you happen to drop it in the water, it is actually waterproof, which is a great feature for a fisherman's flashlight. 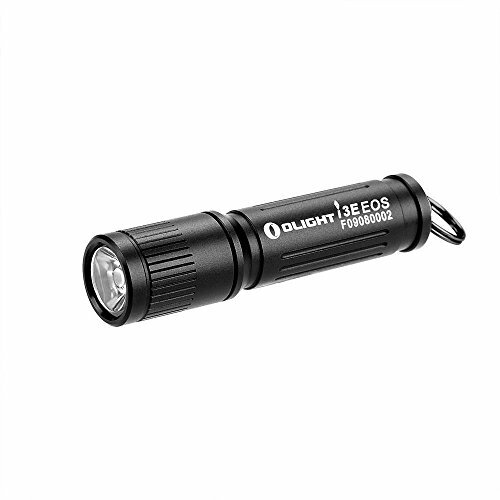 It is small enough to fit on a keychain, so whether they are on an overnight fishing trip or the fishing trip has just lasted past dark, your angler friend will have a source of light that they can use. Carrying all of your fishing gear without a tackle box can be difficult, but having a tackle backpack can make your trek even easier. 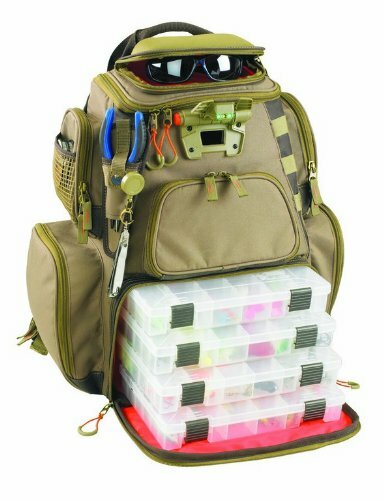 This backpack has a lot of storage options including a place to protect a pair of sunglasses as well as a place to store fishing line, pliers, and other small tools for fishing. 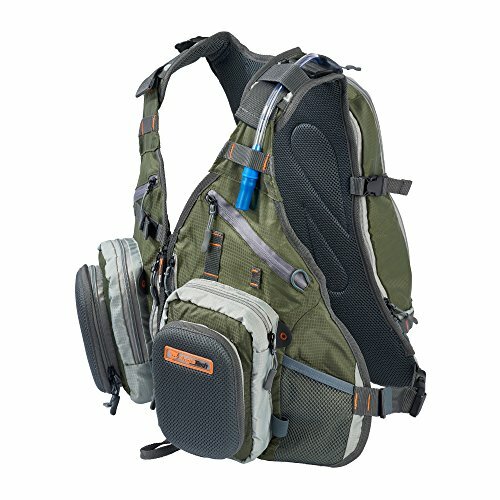 Since fishing is often good at dawn and dusk, this backpack has a flashlight on the front that can shine light on the area. It also comes with a rain cover so that it can quickly be covered if a sudden rain storm hits. For more fishing backpack reviews ​check our buying guide to help you choose. Staying hydrated on a fishing trip often means that a large cooler needs to be packed, but this vest has a hydration bladder that can help with hydration. In fact, the bladder can hold about a litter and a half, which allows for a smaller cooler to be taken on fishing trips. The vest also has a lot of pockets, which makes it even more convenient for an angler to carry all of their favorite fishing equipment to the fishing location. A few of the pockets are even waterproof, which provides a location to store valuables. The Best Fishing Pliers: You Shouldn’t Unhook a Fish Without Them!